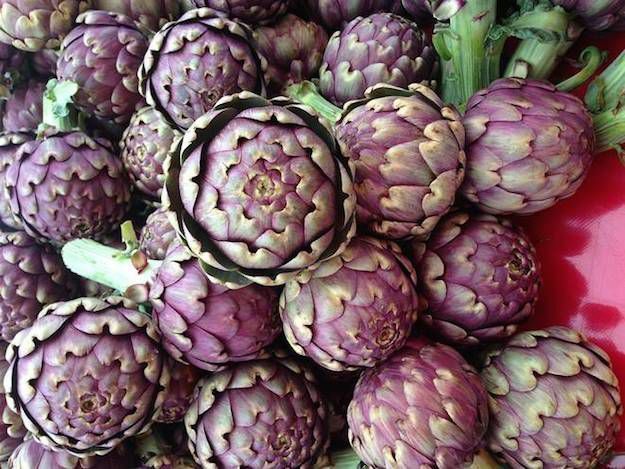 If you’re searching for the best prebiotic foods, then you’ve come to the right place! Let’s start off by figuring out what these foods are and why they’re so important. 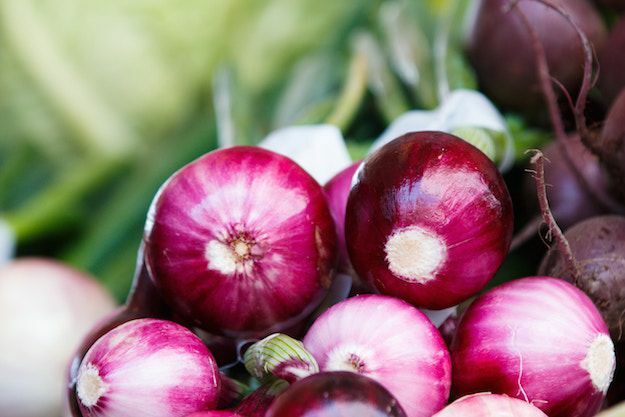 If you have no idea what prebiotics are, let’s take a few steps back. Once you’re done reading that, you’ll be ready to jump back into this section. So as you know now, prebiotics are super beneficial for everyone and almost all functions in the body. They work synergistically with probiotics to foster the growth of healthy bacteria needed for optimum digestive health. But they also play a role in countless other areas like immune function, mental health, hormone balance, stress levels, weight loss, and inflammation. 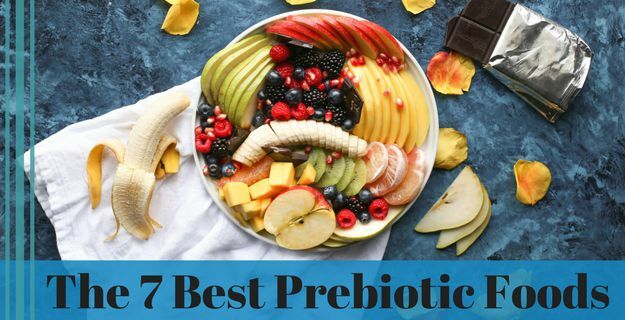 You should also treat prebiotics and probiotics as BFFs. It’d be wrong to split them up, so make sure you’re getting both in your diet. Speaking of diet, how do you get prebiotics anyways? This is easily done by eating the right foods and taking a supplement to fill in any gaps. Let’s find out what foods you should be eating! We’re going to enlighten you with the most prebiotic-rich foods, so you can get the most bang for your buck. You want to remember this list! So pull out your shopping list or your phone and jot these items down as we go through each. Garlic is considered an indispensable ingredient in the culinary world. And we’d have to agree. Namely because garlic bread is one of the greatest things ever invented. Not only does it have an incredibly unique aroma and intense flavor, but it’s shown to have numerous health benefits. 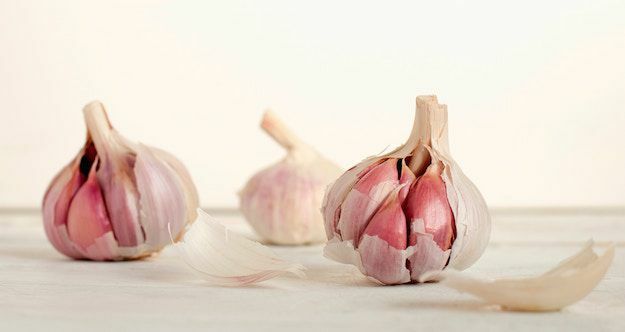 Inulin, a type of prebiotic, makes up nearly 11% of garlic’s total fiber amount. Fructooligosaccharides, or FOS for short, makes up another 6% of the fiber contents. FOS is a sweet, naturally occurring prebiotic. Garlic encourages friendly Bifidobacteria to grow in the gut. It also works to lower chances of heart disease, diminishes harmful bacteria that lead to diseases, and reduces asthma symptoms. Garlic has potent antimicrobial, antioxidant, and anti-cancer properties. So if you’re a garlic lover, feel free to belly up to as much as you’d like. Onions are yet another fan favorite and coveted culinary ingredient. They’re versatile and have many health promoting qualities. Let’s look at the fiber breakdown. Inulin makes up for 10% of the total fiber amount and 6% goes to FOS. FOS is awesome because it fortifies gut flora, enhances immune function, and helps breakdown fat. These vegetables contain a great deal of the flavonoid quercetin, which has anticancer, antioxidant, and antibiotic properties. Oh asparagus, one of my ultimate favorite side dishes. I could eat asparagus every day. 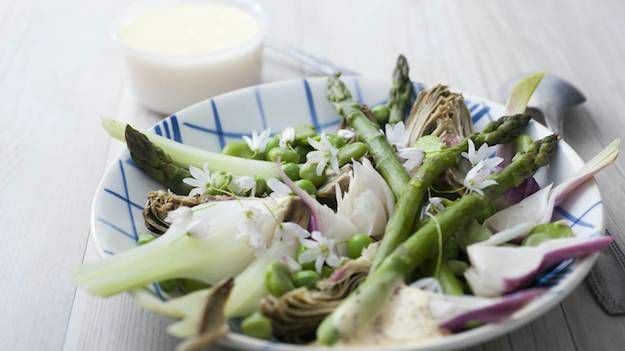 Hopefully you share the same love for this veggie because it’s packed with prebiotics. Each 3.5-ounce serving has about 2-3 grams of the prebiotic, inulin. This delectable food feeds beneficial bacteria in the gut, is loaded with healthy antioxidants, and has anti-inflammatory qualities. Bread, pudding, popsicles, yogurt, cream pie, pancakes, you name it. But you have to be super picky when it comes to choosing a banana that can offer up some quality prebiotic fiber. Not green-yellow, or a hue of green, but like green green. 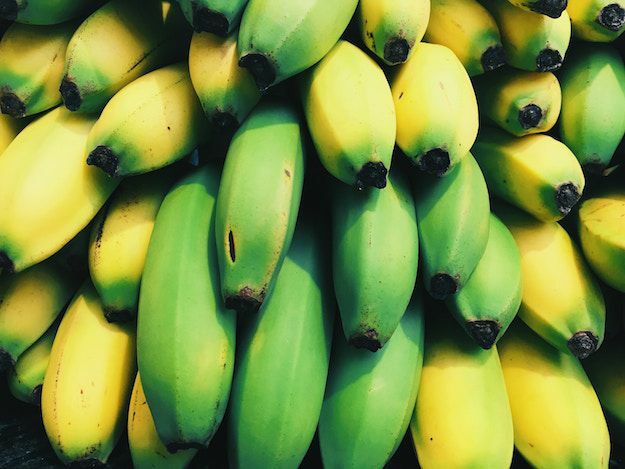 Unripe bananas are packed with prebiotic fiber, vitamins, and minerals. When they’re in this state, they’re pretty hard to peel and eat as is. So chop them up and throw them into your morning smoothie blend. Some research shows beer actually contains prebiotics. Beer itself isn’t #5 on our list of probiotic foods, so let’s turn our focus back to barley. Barley contains a special prebiotic fiber called beta-glucan that encourages good bacteria to flourish within the digestive tract. 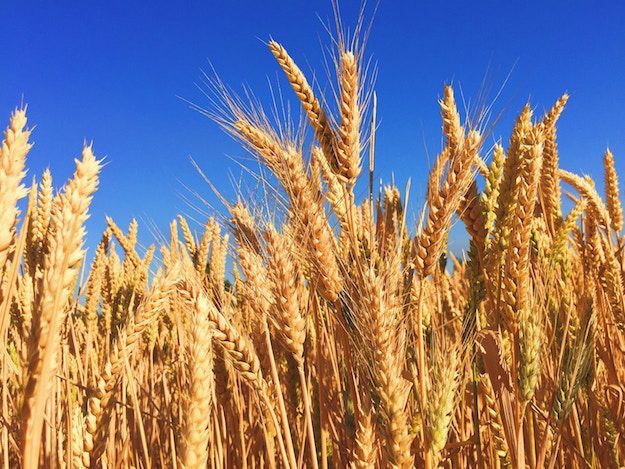 Each 100-gram serving of barley has about 3-8 grams of beta-glucan or prebiotics. This particular grain also lowers high cholesterol, has beneficial antioxidant properties, improves thyroid function, and improves the immune response. You know what they say… an apple a day keeps the doctor away! 50% of an apple’s fiber content is made up of pectin. Pectin boosts butyrate, which is a short-chain fatty acid that banishes bad bacteria in the gut while encouraging the good. 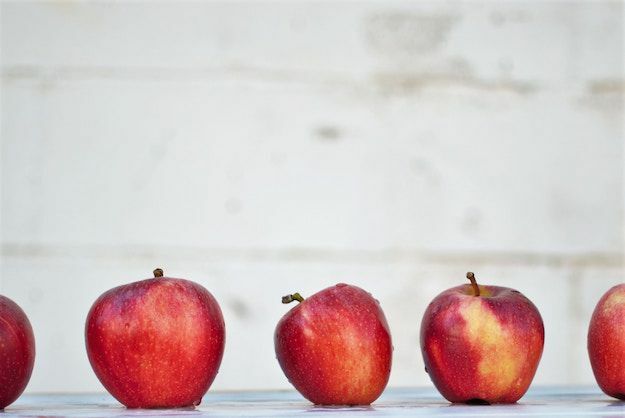 Apples are rich in polyphenol antioxidants and combined with pectin make them great at metabolizing fat, promoting gut health, reducing inflammation, and lowering high cholesterol. Do you remember the bean song? Beans, beans, the musical fruit… the more you eat, the more you toot. The more you toot, the better you feel… so let’s have beans with every meal! I really hope I’m not the only one who ran around singing that as a kid. 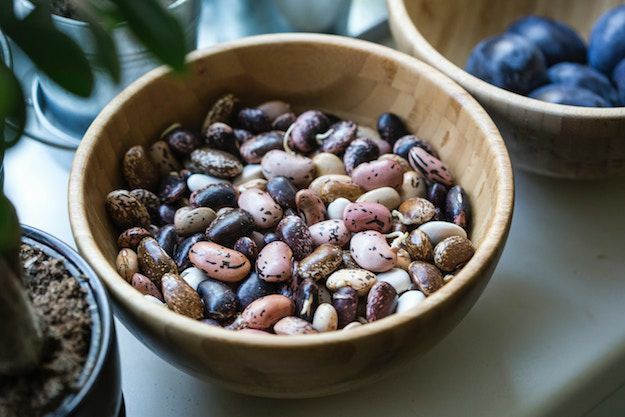 Beans and legumes are really nutritious, enough to be song-worthy. They’re packed with oligosaccharides, a prebiotic that acts as food for the good gut bacteria. They’re also excellent sources of B vitamins, protein, and iron. Some great choices are chickpeas (or hummus for a convenient tasty version), kidney beans, black beans, white beans, and lentils. 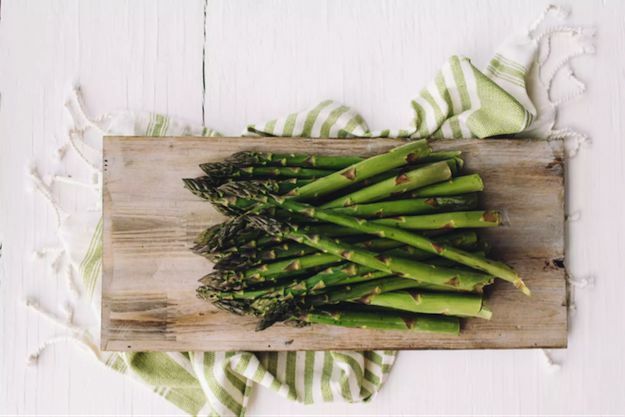 If the top 7 prebiotic foods didn’t strike your fancy or left you wanting more…no need to worry! You’re all set with your fancy new list of prebiotic foods. Make sure to stock up on these foods the next time you’re grocery shopping. Start off with a few staples you’re comfortable with and then expand out. You’ll be feeling better in no time!